We held a very lively and informative Sessions this year and here we share some of the key outcomes with you. 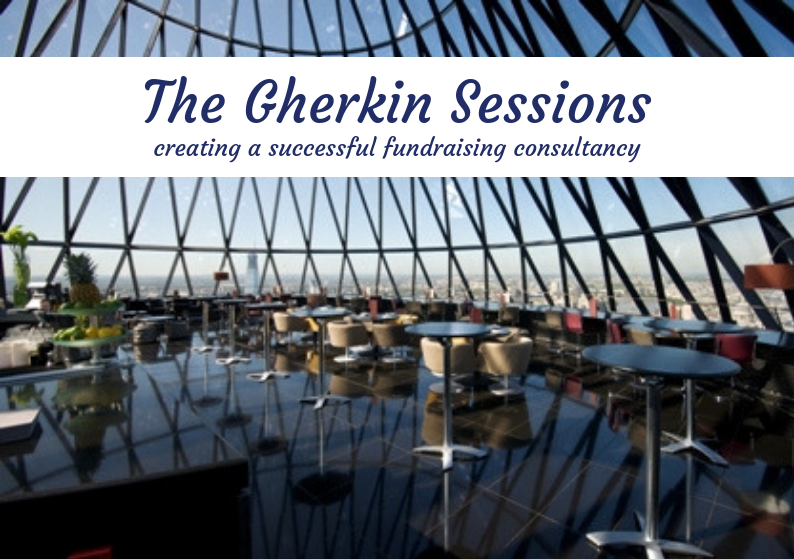 As professional fundraising consultants under the umbrella of the AFC, we are committed to giving our clients the best possible professional advice and sharing best practice. promote your company by running workshops – this shows your expertise and gets your name and your people known. they are looking for someone to explain why things haven’t worked and to tell them what they need to do. As consultants who want to run successful consultancies you must be brave and not just be ‘yes’ people as you need to deliver for your clients. Make sure you define your consultancy’s particular area or areas of expertise clearly so that there is no ambiguity about what you are delivering. It is important to form professional relationships and ensure that you always do a good job. Volunteers can tend to move from one charity to another so ensure that you also form professional friendships here as you never know when it could stand you in good stead. Be seen in the market and do whatever it takes within your niche such as running workshops, speaking at conferences or getting involved yourself as a volunteer within the community. In respect of terms of engagement, ensure that you have a standard contract that is robust and doesn’t have to be continually altered. Keep it simple and avoid over-complicated ones but make sure it covers all the relevant points and remember that a contract is legally binding. Ensure both parties have a clear understanding of the contract and what is expected of them. A contract can be a moving target but you do need everything in writing for both of your protection. Do seek professional advice from a solicitor if in doubt. Let employees and clients know that you are members of certain associations and for that you must adhere to the various codes of conduct. GDPR could be your friend. GDPR has helped with the need to have a contract in place before working for a client. Do bear in mind Brexit as it could mean that you will not be able to transfer data from the UK to the EU. Everyone is eager to get started on a campaign, but be cautious of working with a client before you have a signed contract signed and in place. If you need a reason to justify this to the client then use the professional indemnity insurance reason. Do not take on commission only contracts. They are not ethical and could impact on your cash-flow. Most importantly it blurs the boundaries between you and your clients. Whose campaign is it? What is the role of the client and what is your role as the consultant? Commission only contracts do not build critical relationships. It was agreed that the most successful campaigns are those where the ownership of the campaign belongs to the client and where ‘loyalty is not defined by a day rate’. When pricing your fees, you may consider day rates or hourly rates. However, your pricing structure may be flexible depending on the client and the project. Consider retainers with lower day rates. Retainers and rolling contracts can often benefit clients as there are no sudden unexpected bills and you have an assured cash-flow for your business. Remember that determining good value for a service can be difficult. Therefore, you need to make sure your services and their outcomes are measurable where possible. It is important that you don’t sell your experience and expertise short and to price in line with any high-quality professional service. That way, the client will respect you and listen to you. Please ‘share, share and share’. If you are not already a member of the AFC, please consider joining and becoming one of the professional leaders in fundraising consultancy in the UK.